searches, patrols, raids and mop up operations. Muhammadu Muhammadu and Isah Ibrahim. 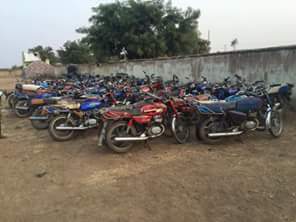 They were intercepted along with 100 concealed motorcycles at the outskirt of the town. 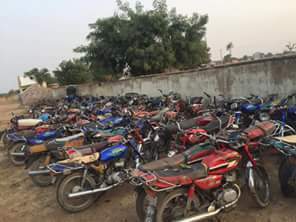 The suspected Boko Haram terrorists are undergoing preliminary investigation.